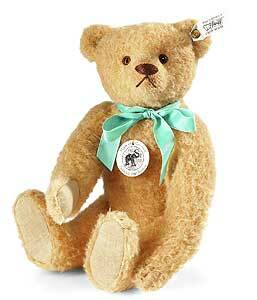 1948 Teddy Bear Replica by Steiff. is hand made in blond alpaca with added airbrusing around and face, paws and body to age him and wears the famous underscored patinated steel Steiff Button in Ear. An ideal collectors piece or for a 70th Anniversary Event or 70th Birthday gift for 2018! Comes boxed, together with a certificate of authenticity.